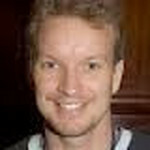 Espen is Norwegian and moved to London in 1997 to play high stakes rubber bridge. His bridge career began in the Norwegian army. With 23 hours of darkness each day what else was there to do? He quickly progressed and was selected for the Norwegian junior team which won the European Junior Championships in 1996 and came second in the World Junior Teams Championship in 1997. Later successes include winning the European Mixed Teams in 2005 partnering his wife, Helen, and winning the Nordic Championships in 2009 representing Norway. In Norway he has won four national championships. In England he has won the Premier League twice and the Gold Cup once. He lives in Tunbridge Wells with his family. Espen’s other passion is tennis. He was the 8th ranked junior player in Norway but now has to content himself with playing in the over-45 team for Kent. He also enjoys a bad game of golf.